Inspired by classic beat 'em ups like Double Dragon, Treachery in Beatdown City will bring the fight to Nintendo Switch and PC later this year. Beat ’em up games like Double Dragon and Streets of Rage have always been defined by their absurdity and distinct style, and while it’s now 2019, none of that is changing as seen in a new trailer for the upcoming modern beat ’em up, Treachery in Beatdown City. 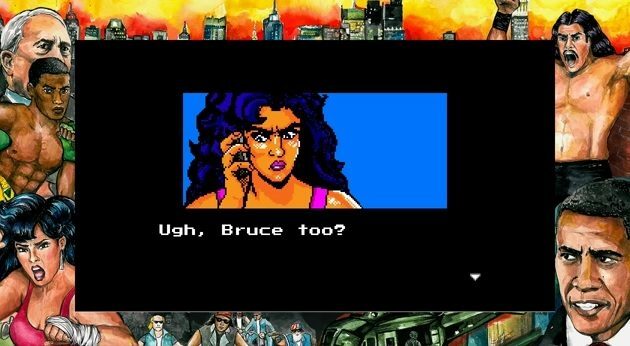 During The New York Videogame Awards 2019, a new trailer was released for the upcoming action brawler Treachery in Beatdown City highlighting the game’s ’80s-inspired retro aesthetic, while also debuting some incredible new music and gameplay. 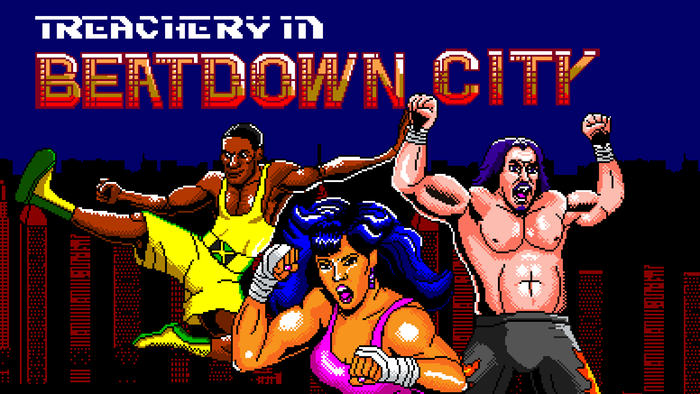 For those that may not be familiar with the title, Treachery in Beatdown City takes inspiration from classic beat ’em up titles and also features RPG-like mechanics in the mix. The game originally debuted on Kickstarter in 2014 and has been worked on for the past few years by developer Shawn Alexander Allen, with the game appearing to near release sometime later this year on Nintendo Switch and PC. Much like classic beat ’em titles such as Double Dragon, Treachery in Beatdown City will have players take on a wide variety of increasingly absurd enemies like ninjas, punks, and more in the style of earlier games. 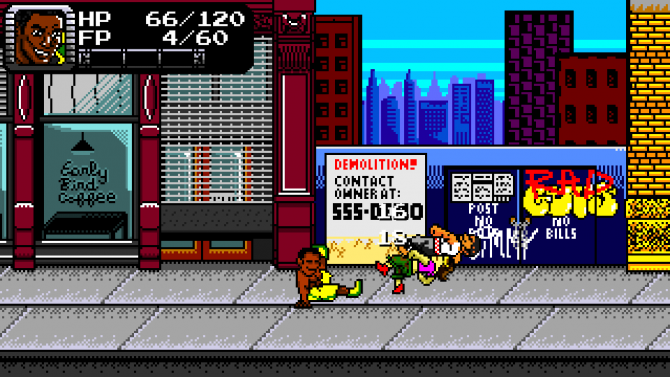 However, Beatdown City includes a unique mechanic that allows players to build up combos RPG-style.